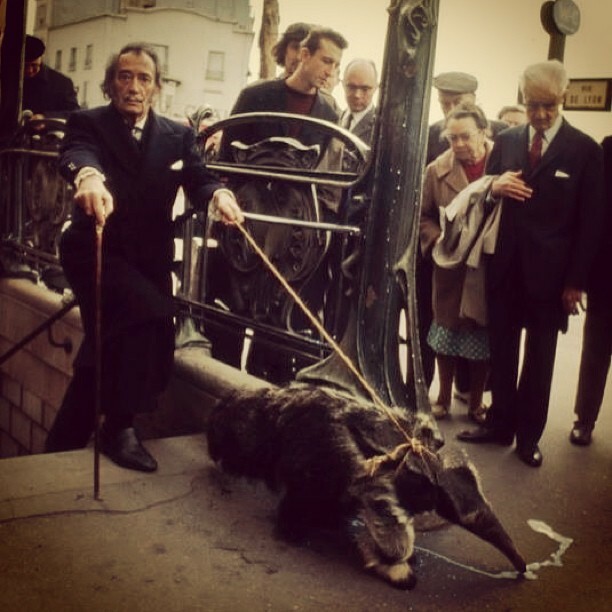 Salvador Dalí had a thing for anteaters. They made for good schtick, especially in Europe, and Dalí never saw schtick that he didn't like. And yet maybe there's something a little more to this picture taken in Paris, in 1969. Maybe there's some kind of symbolism, or even a playful tribute, taking place in the photo above. Surrealism officially came into being in 1924, when André Breton wrote Le Manifeste du Surréalisme (read an English translation here). First a literary movement, Surrealism later embraced painters, including figures like Dalí. In 1930, Dalí created a bookplate for Breton called, "André Breton le tamanoir." 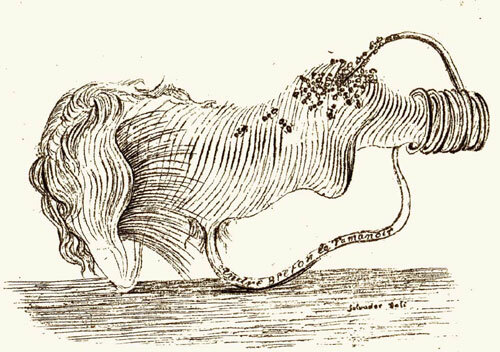 That translates to "André Breton the Anteater," the nickname given to Breton by his fellow surrealists. Now consider the fact that the 1969 photo was taken three short years after Breton's death, and perhaps we can read an homage into it. What nickname did Breton give to Dalí, you might ask? “Avida Dollars.” An anagram for “Salvador Dalí,” “Avida Dollars” translates to “eager for dollars." Pretty apt.